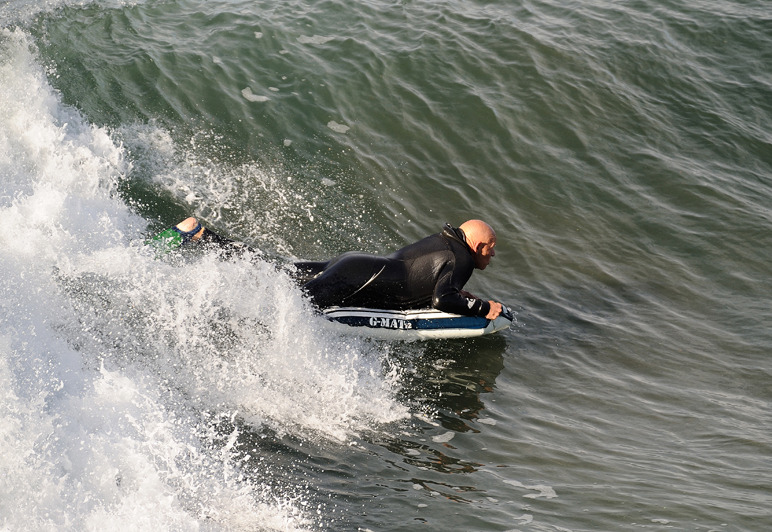 In today's surf world, to ride a mat is to be different. The looks and comments we continually get are priceless; I know we all hear,"What is that," or "I use to ride one of those." But to those of us who do it regularly it has literally become a lifestyle and I think we like that. If you were driving along and you saw a mat surfer on the side of the road, you would almost assuredly pull over to talk story. With that in mind, Here and Now showcases some of those individuals who have interesting back-stories. Ken McKnight is a Californian mat surfer who is on a quest to profile a few of our mat brethren and offer up their unique perspectives on why they ride these lightly filled bags of air. As Neil Young once said, "There's more to the picture than meets the eye."